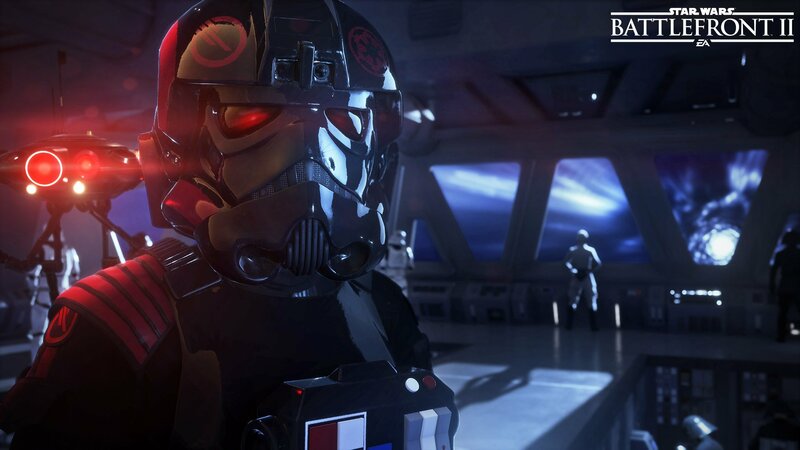 Electronic Arts and developer DICE may have won fans over with their decision to release Star Wars Battlefront II‘s DLC free of charge, but there’s a small caveat to that post-launch content plan: DICE’s sequel will support microtransactions. They’re optional, of course, and will be limited to the shooter’s multiplayer component. 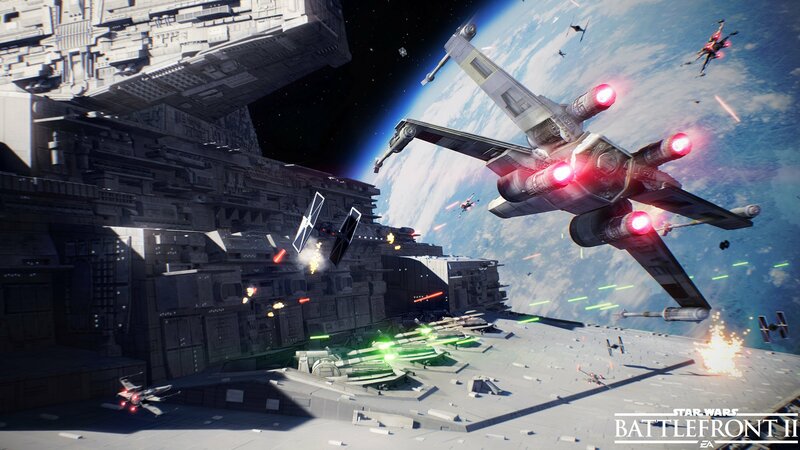 And similar to other EA titles, progression in Battlefront II will be funneled through a crate system, one in which players spend credits acquired in-game or, should you so choose, credits purchased using real-world money. 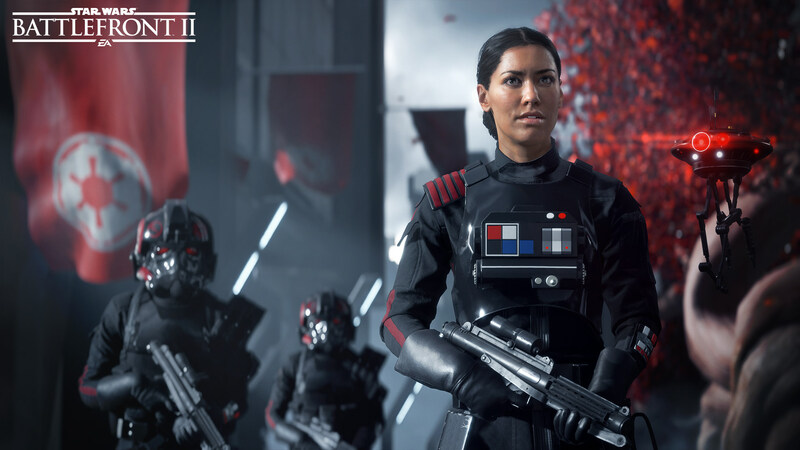 Further details on price and individual tiers are still to be revealed, but at least based on the alpha version of Star Wars Battlefront II, crates comes packing Star Cards and crafting elements. Looking further afield, DICE has already nailed down plans to host a multiplayer beta across all platforms – namely PS4, Xbox One and PC – to collect fan feedback and stress-test the game’s servers in anticipation of its launch on November 17th. 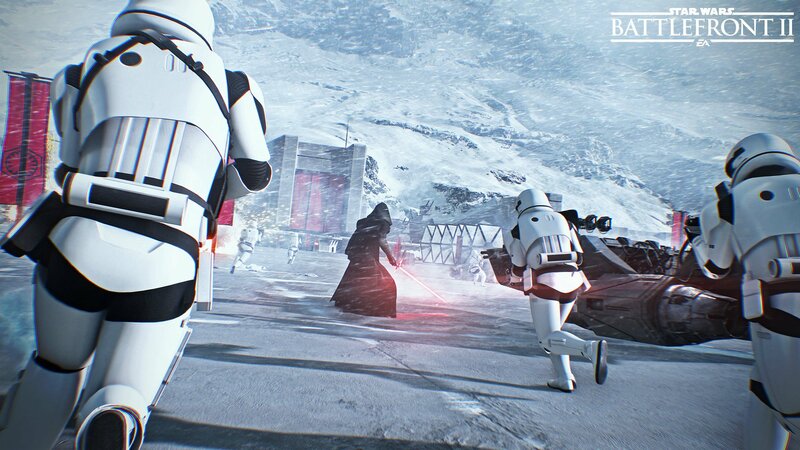 Pre-ordering Battlefront II grants you instant access to the beta, as well as exclusive character skins for Rey and Kylo Ren. 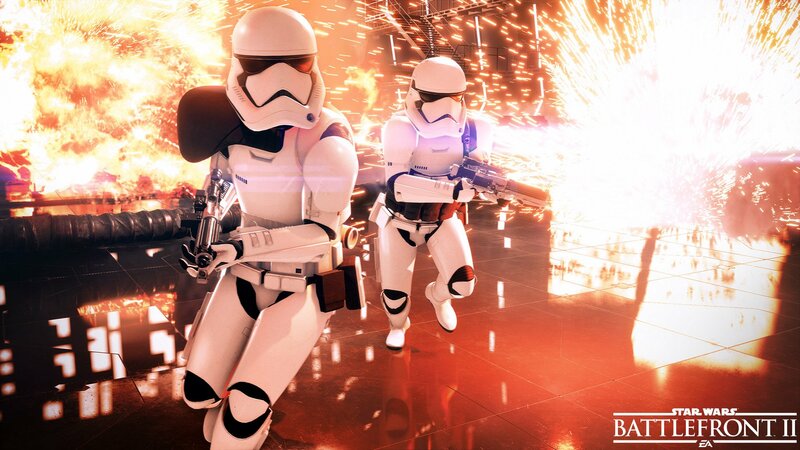 And don’t worry, the folks at DICE have taken fan feedback on board, and plan to implement Battlefront II‘s post-launch content in such a way that it avoids a splintered community – a problem that many believed clipped the wings of Star Wars Battlefront soon after its release in 2015. I think the main thing here is to keep the community together. In terms of the brand, to me, when it comes to Star Wars, that’s a family feeling. If you’re a fan, you’re a part of the family. And splitting that up and saying, ‘If you have this content you can play here, but if you have this content you can play here.’ And if you don’t share, you will be split up. What we wanted to do was have a journey that starts at the launch of the game. So when the game launches, this journey starts with different seasons [of DLC]. 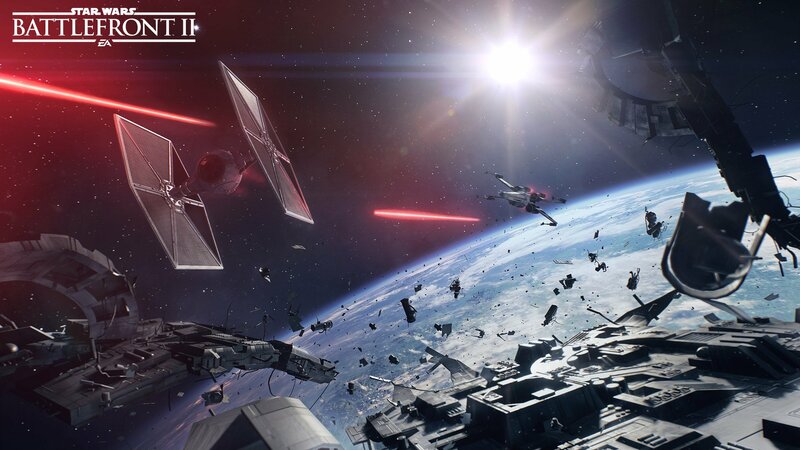 Star Wars Battlefront II deploys for PS4, Xbox One and PC on November 17th and spans all three Star Wars eras. Not unlike Battlefront before it, it’ll also include tie-in content from Rian Johnson’s The Last Jedi, which is due to arrive in theaters on December 15th. 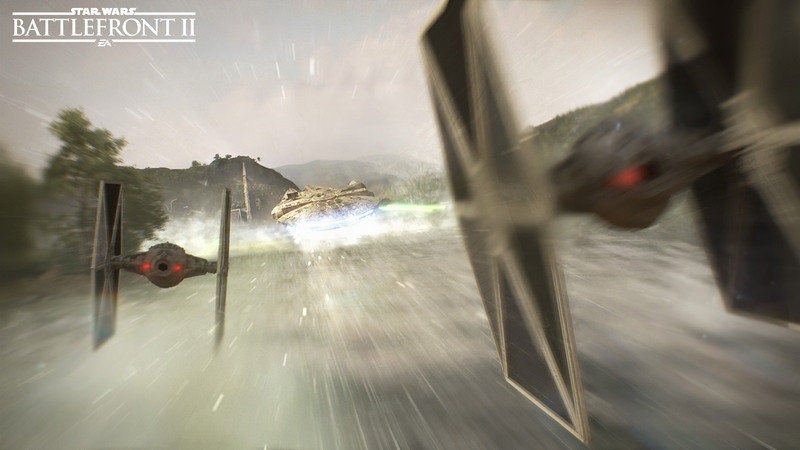 Further details on that aforementioned progression system – Star Cards, crates…you name it – can be found below.